This week, MedResults Network is very pleased to announce a marketing partnership with Sientra, Inc., a medical aesthetics company. MedResults Network’s 3,100 members now have access to exclusive benefits with the physician’s choice for advanced scar treatment. BIOCORNEUM® is the only topical scar treatment with FDA-Cleared Silishield™ patented crosslinking medical grade silicone and SPF 30 to prevent and minimize the formation of hypertrophic scars, decrease the appearance of old scars, protect scars from sun exposure’s darkening effects, and dry quickly to adhere to the skin for 12 to 24 hours. 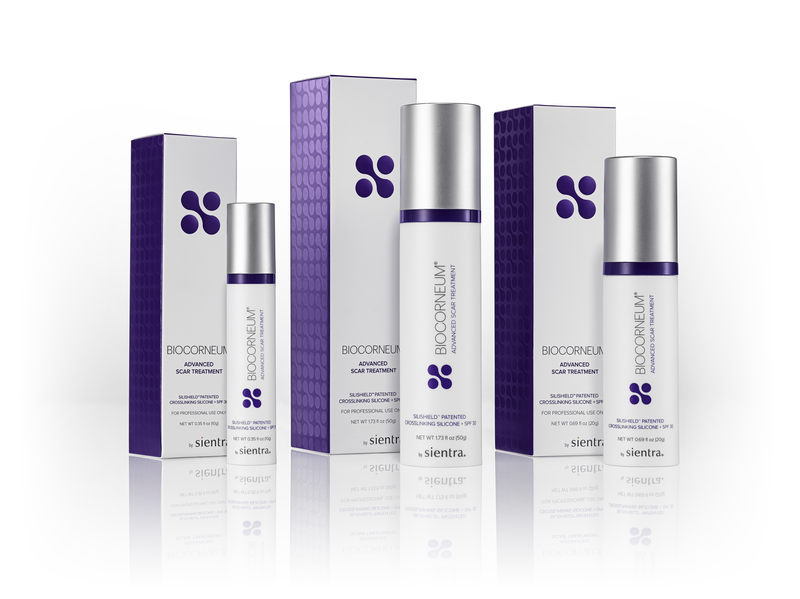 BIOCORNEUM can be used on scars resulting from surgical and cosmetic procedures, trauma, wounds and burns, and can be effective on old or new scars. Through its national partnership with Sientra, MedResults Members will now have access to exclusive pricing and benefits on BIOCORNEUM. MedResults Network is an organization based on saving aesthetic providers time and money. Using the buying power of over 3,000 Members, MedResults has negotiated with over 50+ national vendors to bring aesthetic providers discounts and rebates on the products and services they use daily. MedResults Network is the only national buying group that offers membership to benefits at no cost to Members, with no risk, and with the opportunity for Members to continue purchasing directly from their preferred manufacturers and distributors. Headquartered in Santa Barbara, California, Sientra is a medical aesthetics company committed to making a difference in patients’ lives by enhancing their body image, growing their self-esteem and restoring their confidence. The Company was founded to provide greater choice to board-certified plastic surgeons and patients in need of medical aesthetics products. The Company has developed a broad portfolio of products with technologically differentiated characteristics, supported by independent laboratory testing and strong clinical trial outcomes. The Company sells its breast implants and breast tissue expanders exclusively to board-certified and board-admissible plastic surgeons and tailors its customer service offerings to their specific needs. The Company also offers a range of other aesthetic and specialty products including BIOCORNEUM, the professional choice in scar management, and miraDry, the only FDA-cleared device to reduce underarm sweat, odor and permanently reduce hair of all colors.